Alhamdulillah ya Rabb for me to still breathing till today. Its a month after end of Syawal yet I still want to post about my Ramadhan and Eid 2014. That because they are special to me that I feel the compulsory to write about it, even its late. Hehe..
Alhamdulillah Ramadhan is always a blessing to me that it always the starting point for me to improve myself. A week before Ramadhan, people start blogging about how happy and excited they are welcoming Ramadhan. Blogwalking, and I read the post about how to complete the Al-Quran during Ramadhan. Alhamdulillah, my heart is open to try it as I never think about it before. When at collage I do join the Taddarus with my friends (they always encourage me to do good deed), but now there is only group of men doing Tadarus at surau. That means the past 3 Ramadhan not crossed in my mind to finish the Quran in Ramadahn but just doing my routine of reading few pages. 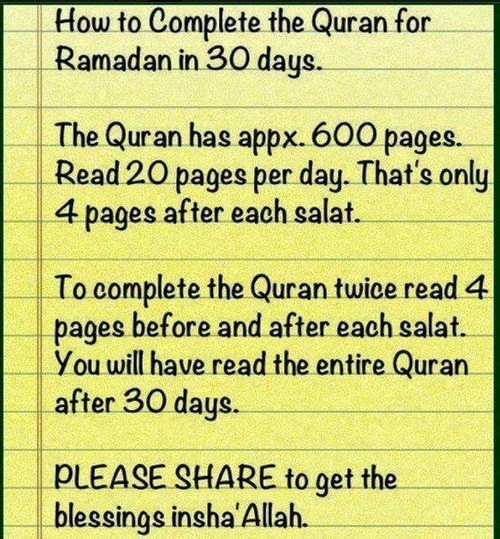 So this year Ramadhan Im aiming to take a step improvement to finish the Quran. I try my best to finish at least 1 and half juzuk a day by reading Quran after Subuh, Zohor, Magrib, and Terawikh. Honestly 6 pages in a time is kind of tiring, thus I didn't read the translation, and I read it faster. =P However sadly I did not finish the Quran that still 8 juzuk left when Ramadhan end. =( InsyaAllah, if Im still allive, ill try Harder next year.. Amin.. This year Im celebrating Eid at home. Just not long when last Im home, but many things change. Some are good news but there also sad news. Some neighbor and my cousin return to the Creator. Thinking of the days we chatting and being a close neighbor it feel the loss in the neighborhood. Thank you aunty for teaching me how to make baju kurung, giving me extra creamer in chendol, giving us used shirt and for being very kind neighbor. Thank you cousin for being kind toward us and shows affection when we back to kampung. May the kind person rest in peace with Allah blessing. Amin..
Dear all my friends and anyone who know me, taking this opportunity I sincerely ask for forgiveness for all my mistakes and wrongdoing. As for the tragedy a year ago, this forgiving season help me to forget the tragic day, it still a bad day but not too melodrama. As for it, you deserve this much of sulking. Its sweet for a few times but will be VERY BAD to repeat it many times. Both of us must take lesson form the tragedy.